Military History Books, THE VOLKSDEUTSCHEN IN THE WEHRMACHT, WAFFEN-SS, ORDNUNGSPOLIZEI IN WORLD WAR II,Rolf Michaelis,Schiffer,ISBN 9780764342615, THE MAKING OF A NAZI HERO,Daniel Siemens,I. 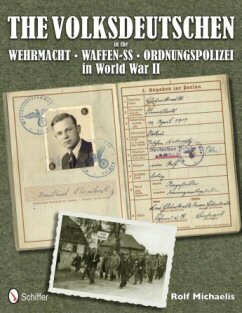 B. Tauris,ISBN�9781780760773,Horst Wessel,SA,Joseph Goebbels, PANZERGRENADIER DIVISIONS OF THE WAFFEN-SS,Rolf Michaelis,Schiffer,ISBN 9780764336607,4 SS-Polizei Panzergrenadier Division, 11 SS-Freiwilligen Panzergrenadier Division "Nordland",16 SS-Panzergrenadier Division "Reichsf�hrer-SS",17 SS-Panzergrenadier Division "G�tz von Berlichingen", 18 SS-Freiwilligen Panzergrenadier Division "Horst Wessel",23 SS-Freiwilligen Panzergrenadier Division "Nederland", SECRET AIRCRAFT DESIGNS OF THE THIRD REICH,David Myhra,Schiffer,ISBN 0764305646,Mario Merino,Andreas Ott, PANZERWRECKS 9: ITALY 1,Lee Archer,William Auerbach,ISBN 9780955594069. In the follow-up to German attacks in World War II, Ethnic Germans all over Europe were drafted into the German military from all of the occupied countries. Nearly 650,000 from all occupied countries men were put into Wehrmacht, Waffen-SS, and Order Police service. 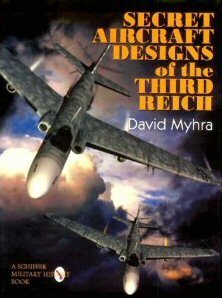 For the most part they fought in their own units or were used as replacements in Reichsdeutsche units. 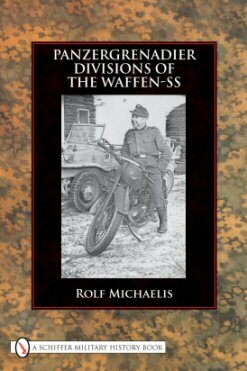 This book details each country and unit from all service arms and includes rare documents, soldbuchs, and wartime era photographs. The Murder and Myth of Horst Wessel. On 14th January 1930, the young member of the SA was shot in Berlin. Although the crime was never solved, the murder was most likely committed by a group of communists. Joseph Goebbels, whose attention had already been drawn to Wessel as a possible future Nazi leader, recognized the propaganda potential of 'a young martyr for the Third Reich' as he wrote in his diary on 23 February 1930. Two months later, thousands of people lined the streets for Wessel's funeral parade and Goebbels delivered a eulogy. 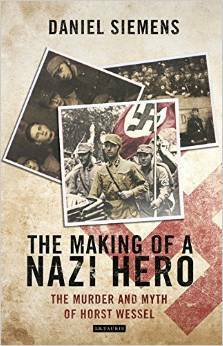 In the years that followed Horst Wessel became the hero of the Nazi movement. His elaborate memorial quickly became a site of pilgrimage and the 'Horst Wessel Song' became the official anthem of the Nazi party. The Panzerwrecks series feature destroyed, surrendered and abandoned German armour of 1944-45. Each landscape volume contains over 100 large format rare and previously unpublished black and white photographs. 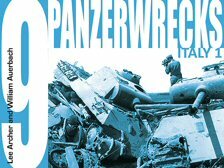 This volume features: On the road to Pontedera, Pz.Kpfw.III (Fl) in focus, Taming the Tigers and Panther forts at Anzio. Though this copy is new and unread, there is slight transit damage (creasing) to the spine and top of the rear cover. Price has been reduced to reflect this.